The only mistake made by the victim was to give some candy to street children. The fact was enough for her to be linked to a minors kidnappers network. The lady was beaten tirelessly by members of citizen patrols who watch the town's streets. These groups of people dedicate themselves to monitor the area due to the increase of robberies in the Indian region of Tamil Nadu. Collective executions are gaining strength in India, the latest case was reported in the state of Tamil Nadu, in the southern part of the country. There, a woman was literally beaten to death by a crowd of people who thought she was trying to kidnap some children on the street. The crime, a complete injustice, took another innocent life due to a rumor and not a fact. 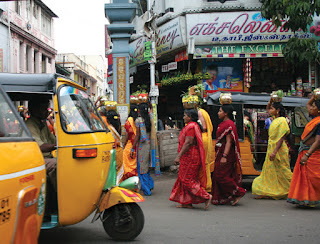 The woman, a native of Chennai city, was visiting Tiruvannamalai town with some relatives just to visit a local temple. According to the police, she stopped her car to give some chocolates to some children she saw on the street. However, she never imagined that this would literally cost her life. Since the people on the place saw her, they took a lapidary conclusion: they thought she was trying to coax the infants to traffic with them. Immediately a lot of people started gathering around the scene. First, they started looking at her; then, to attack her, and after that to beat her. The woman and her four companions were attacked with a storm of blows. She, unfortunately, lost her life, and her relatives had to be transferred to a hospital with serious injuries. So far, about 23 people have been arrested and suspected of being related to the violent murder. The worst thing about this theme is that lynchings are common in India and, generally, the main reason of the accusation is a rumor. In fact, in less than a month, only in Tamil Nadu, two other similar episodes have occurred and, each time, the crowd have confused the individuals with thieves and kidnappers, and they have been killed with bangs. Also, in these cases, the aggressors were members of the citizen patrols, which have the task to watch the streets and take care of people.